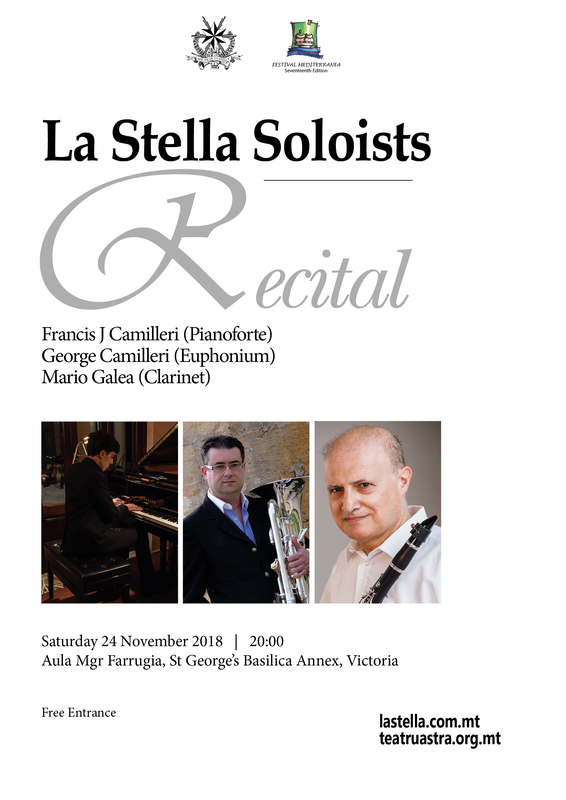 A recital of classical music featuring pianist Francis Camilleri, clarinetist Mario Galea and euphonium player George Camilleri will be held at the Aula Mgr Farrugia, St.George’s Basilica, Victoria Gozo, on Saturday. The recital forms part of the 17th edition of Festival Mediterranea, an almost two-month long celebration of culture organised annually by Teatru Astra. The festival promotes instrumental, vocal, choral and orchestral concerts, as well as opera, ballet, drama and history. This year’s festival is being held in honour of the late Mro.Joseph Vella who was the artistic director since its inception. Saturday’s recital will consist of a diverse selection of genres and styles. Amongst the pieces to be performed will be Chopin’s famous piano mazurkas, Joseph Vella’s Rapsodija Maltija, Debussy’s Premier Rapsodie and Passacaglietta for clarinet by Vella, the Concerto for euphonium by Ponchielli and others. 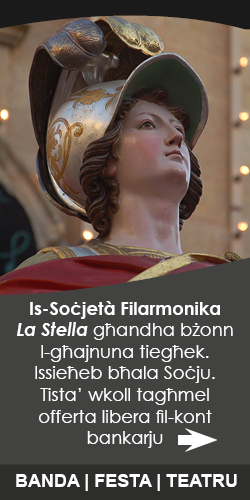 For more information about the festival visit mediterranea.com.mt or teatruastra.org.mt. You can also phone 00356 21550985 or email: [email protected]. Free admission.